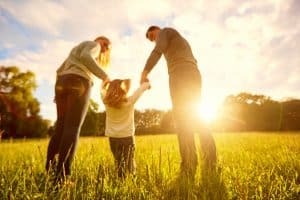 How Does the Adoption Process Work in Tennessee? Adopting a child is one of the sweet joys of life. Unlike most court actions, adoptions are usually not contested although there are some exceptions. Adoptions bring a needy child into the loving arms of a caring couple or person. You can be married, divorced, or single. Can you manage the constant changes the raising a curious child requires? Can you wait for the child to adjust and to grow to love you? Parents who wish to adopt should feel comfortable with the inevitable questions the child will ask about their biological parents and any other adults who cared for them previously. How international adoptions are handled. The rights of biological parents. Many times, a divorced spouse or a parent who never married wants their new spouse to adopt the child. There are many legal challenges to this type of adoption beginning with the rights of the other biological parent. Normally, the consent of the other biological parent is required. If the other parent doesn’t voluntary waive his/her parenthood rights, the adopting parent must have grounds to involuntarily terminate the biological parent’s rights. Questions may arise as to citizenship requirements, the rights of siblings of the child being adopted, the rights of guardians of the child. The Tennessee adoption lawyers at the Law Offices of Adrian H. Altshuler & Associates, have the experience and resources to help with adoption placement, the Tennessee adoption requirements, and any contested issues. We guide parents through each phase of the adoption process with the aim of creating a new loving family relationship. For help with all aspects of your adoption desires and needs, please phone us at 615.412.1121, or fill out our contact form to make an appointment. We represent families in Franklin, Columbia, Brentwood and nearby locations.